Before she founded Driving Force in 2011, Lili had been in human resource management field for nearly 20 years, for several multinational corporations. She witnessed the development of the job market and determined to make a difference in executive search industry in China. Lili has experience from the “other side of the desk”, and can empathize with corporate need for efficiency while understanding the time sensitivity of staffing needs. Her clients view her as an engaged partner committed to their success. Lili has degrees on Statistics and Economics, as well as MBA from SDA Bocconi in Milan, Italy. In Driving Force, Lili devotes most of her energy in developing new business models. Born in Minnesota, USA, Mr. Daudt has a successful and distinguished record spanning 25 years in the business world. As an entrepreneur, lawyer and investment banker, he has been involved in over 120 acquisitions and divestitures in the United States and China. He has lived for over 20 years in China, starting in 80s the first Sino-America Underground Construction Joint Venture in China. Robert is Founder and CEO of ChinaPlus Capital and he is also a frequent lecturer and sits on the board of several companies in the US and China. As a shareholder of Driving Force, Mr. Daudt brings his professional network and expertise to the team and customers. 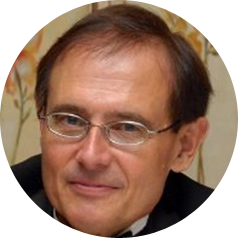 Mr. Saul is an automotive veteran with 45 years experience in engineering and manufacturing. His 38 years career with General Motors made him a successful leader and a visionary businessman. After his retirement, he brings his expertise and network to China. His company, RPS Quality Solution, is specialized in the deployment of experienced automotive engineers and managers. Over years, Mr. Saul has supported several China based automotive companies by building right teams. The partnership between Mr. Saul and Driving Force is able to quickly bring international talents to the customers, in China and in the US, with special focus on Dies, Stamping and body-in-white. Mr. Grantl has extensive experience in industrial engineering, economics and career training and coaching, focusing on automotive industry for European clients. As the founder of GUP consulting, he and his team have successfully placed senior directors and managers in all functional areas. In addition, his expertise in selection and coaching has helped many professionals to grow their career with satisfaction. The partnership between Mr. Grantl and Driving Force is able to quickly bring international talents to the customers, in China and in Europe, as well as offering consulting advisory in the EU market. Managing partner and management consultant of Loekken consulting, Mr. Loekken has solid personal and professional foundation and a wide range of competencies to draw on. 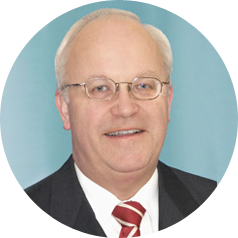 Over years, Mr. Loekken has facilitated and coached leaders from international companies and organizations. 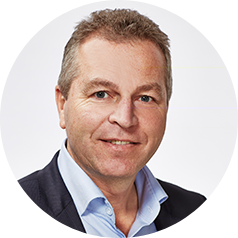 With several years international experience in Europe, USA and China, Mr. Loekken now lives in Denmark and continues his work worldwide on management development, coaching, and assessment. He’s NLP Master practitioner, certified assessment consultant, and cycling fanatics. With his expertise, working together with Driving Force, Mr. Loekken offers career and leadership coaching to seasoned professionals and organizations. 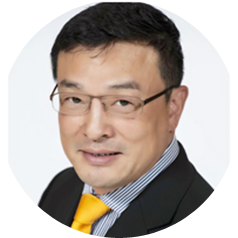 Mr. Wang is a certified international trainer of NEVI-Purspective Asia Pacific, and a guest professor in Concodia University of Wisconsin and EU Business School. His most welcomed training subjects are Negotiation, Strategic Sourcing, and Leadership and Decision Making. During his career with IBM and Deloitte in early years, Lloyd developed a great interest in training and coaching. He pursued his passion ever since and became a certified trainer in 2006. Now he is well-recognized by many international customers such as Philips, Mechelin, and Schneider, thanks to his business insights and personal charisma. Mr. Wang is ready to offer his expertise to customers of Driving Force — small and medium sized enterprises and Chinese companies.